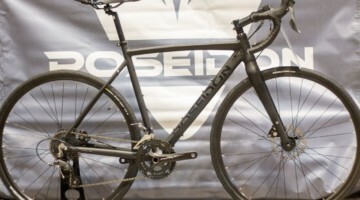 Think you have to spend a fortune to get your first cyclocross bike? Think again. Here’s an oldie but goodie worth reposting for this year’s freshman class of cyclocrossers. The following article launching Cyclocross Magazine’s “Cheap Bike” project originally appeared in Issue 14. Part 2 of the article is in Issue 15, also available instantly via our all-access digital subscription. Bike racing has a reputation as a rich person’s sport. Show up at any road, mountain or cyclocross race, and it’s easy to see why – carbon fiber bits, aero and ultra-light gear, and suspension push average race bike values to well over the $2,000 mark – nearly five percent of the average household income here in the States. 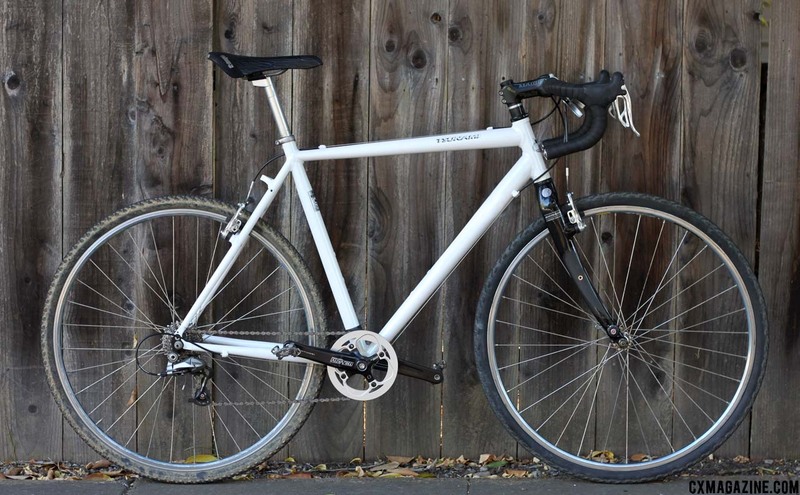 In response, we bring you “Cheap Bike” – a series of articles documenting our endeavor to assemble and race a truly low-budget “cheap” cyclocross bike. Just a quick browse through the pages of this magazine will reveal how many opportunities there are to spend a pretty penny on nice cyclocross-related gear. 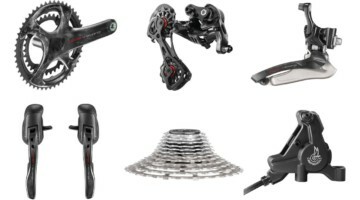 We’re psyched to have amazing equipment options and the attention and resources of the cycling industry. However, bike racing, especially cyclocross, is something that can be enjoyed at any income level. A working used hybrid, mountain bike or road bike can take you quite far in your local race series, and a look in our Cowbell forums, on Craigslist or on eBay will reveal a ton of used cyclocross-specific choices for those on a budget. When you’re ready to upgrade your ride, or buy your first cyclocross bike, what are your options if you want to avoid the unknown risks of a used bike but don’t have much to spend? Most brands’ entry-level bikes start at around $1,000, and they represent great, low-hassle options for new cyclocross racers. 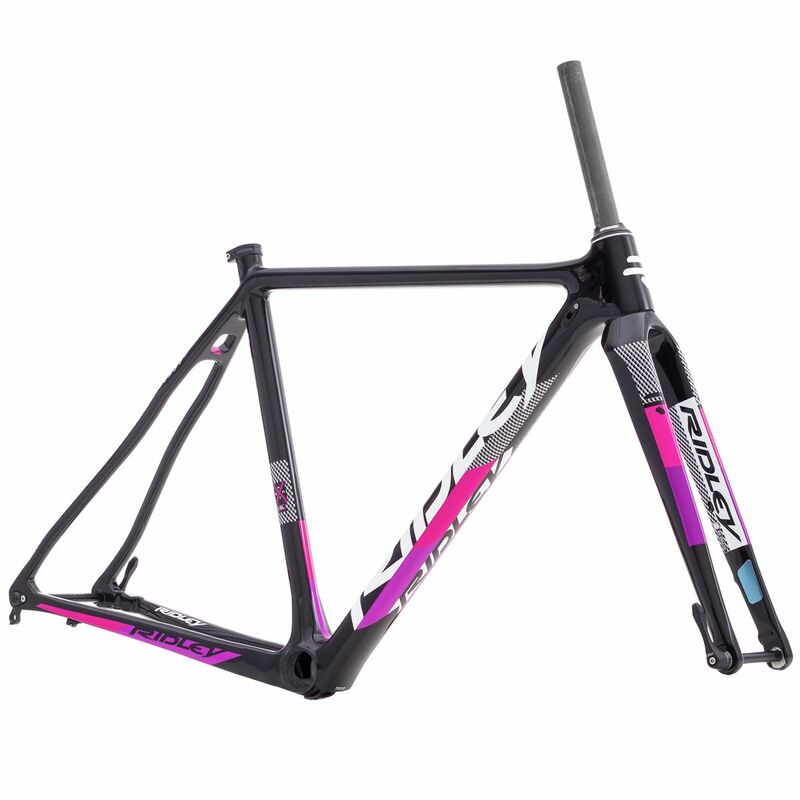 But can you assemble your own brand new, race-worthy bike for less money? Could you choose your own frame, fork and components—piece by piece, all brand-new, on a shoestring budget – and still have a race-worthy bike? Yes, you can. Taking on such a project is really just getting back to the roots of cyclocross. Cyclocross racers have historically raced on cobbled-together machines, and just 15 years ago it wasn’t uncommon to see racers on converted touring bikes or road frames with cantilever bosses brazed on to the seatstays. A few years back, we were curious how much money it’d take to put together a bike we could train on and race hard without dipping into the second-hand market. We turned this curiosity into a challenge: After six months of scouring local bike shops (LBS), eBay and online retailers for affordable components and gradually putting together the creation, we have our budget racer as seen here: all $643.41 and 21 pounds of our frugal flyer (20.79 pounds without pedals, 13.56 without wheels). Sure it’s a curious spec—when budget is a top priority, you’re bound to make opportunistic purchases, seizing on closeouts, bargain bins and random finds. But the final machine works well, is lighter than many entry-level bikes, and we had a blast putting it together—assembling a bike, part by part, is a process all cyclists should try once in their lifetime, and is a great learning experience for many. 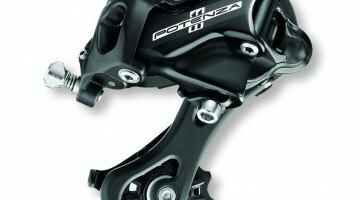 It can’t be emphasized enough that taking such an approach to building a bike should involve several considerations. First, it’s hard to ensure a good fit or ride quality without an in-person test. Perhaps more importantly, taking a price-first approach doesn’t always support your local shop. Even though we spent well over $100 at our local shops, if you want to rely on them the day before a race, or when you’re ready to test ride bikes for your next upgrade, you want them to be around. Lastly, buying random generic frames on the ‘net often means you’re cutting profits from the company that spent money designing and engineering the frame. These companies often sponsor races and riders, a good thing for our sport. 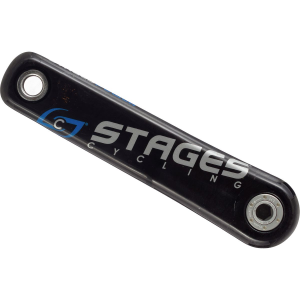 The question is, if saving a few hundred dollars by buying some parts (or a bike) online enables people on a tight budget to try out cyclocross, is that a good thing for the sport? Hopefully they’ll then aspire to upgrade their rides at local shops as they get more serious, and have more funds. If that happens, we all eventually win. After all, how many racers have gotten their starts on a budget, Internet-purchased Motobecane, got hooked, then upgraded down the line? 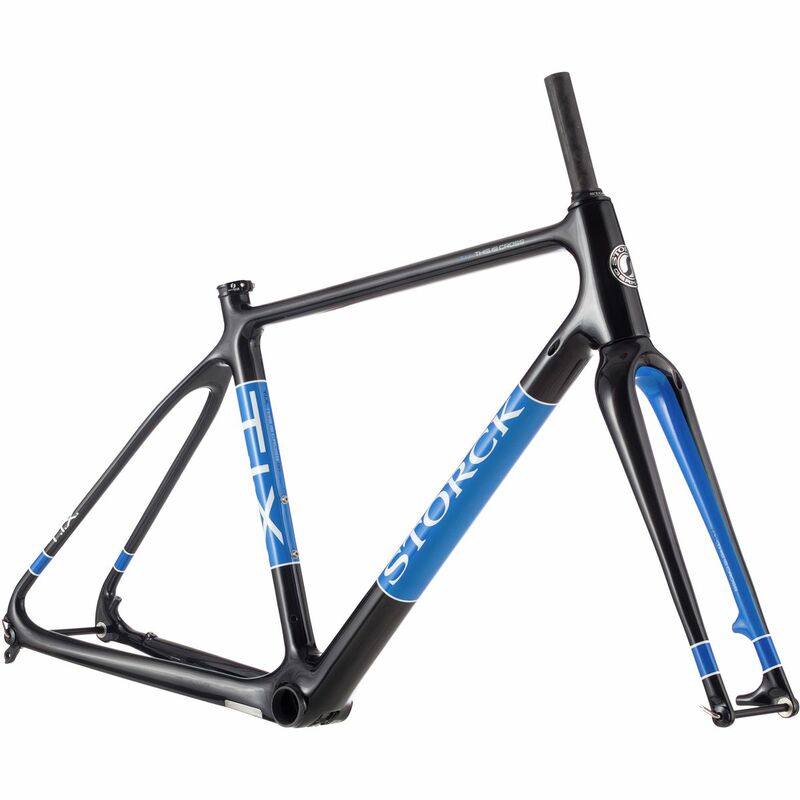 Is this frame still available somewhere? This is a great article, and I love what you guys did with so little. I just did the same thing this summer, except I spent a bit more on the frame (an Alan Guerciotti), and already had wheels, shifters, derailleurs and seat and still kept it under a grand. I thought I had other parts that would work, but as always there are bits and bobs that are specific sizes, like seatposts, stems and bottom brackets or parts that do not work with the frames geometry (I had to go through 3 different cantilevers to find one that would work with the canti boss spacing in the rear). A few items that you didn’t mention in your calculation are cables/housing and a chain. Did rimstrips and skewers come with the wheelset? 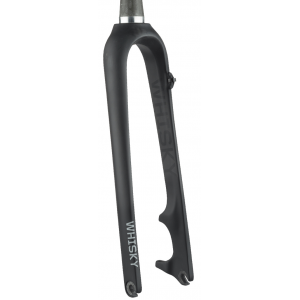 did you pay retail for items at your local bike shop? I am a new cyclist, and so far I am very much enjoying my road bike. However, the only reason I could afford it was that it was income tax refund time. I would love to get a Cyclocross bike before fall hits here in NC, but alas, there will be no more refund checks. I am considered buying piece by piece and having it assembled by fall, but my bike mechanic skills so far amount to, “inflate tires, lube chain”. Would you suggest any resources, books or online, that are a good guide for the new cyclist to build a bike from the ground up? 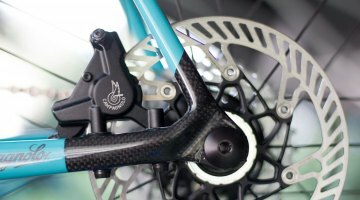 What’s the cheapest Disc brake or V/Canti brake STEEL frame out there? must say that I miss when cyclocross racing was more core and bikes were pieced together and did not cost so much. Great post! Here is how to do it even cheaper. And it’s even running Campy! Love it! That’s a solid rig too! 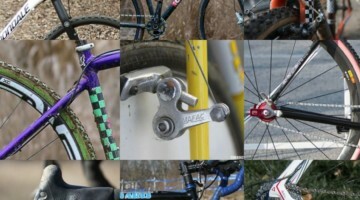 Er, gravel bikes and cyclocross bikes aren’t the same. They’re not interchangeable terms. An American style CX bike and a gravel bike are pretty darned similar. Don’t get hung up in semantics. Euro CX bikes tend to have higher BBs, and probably aren’t stable enough for long hours in a grinder, but they could be used in a pinch. MORE IMPORTANTLY: How did they get those Campy 10s shifters to work with that Shimano rear der.? i looked into this and that $644 number would take countless hours of searching and penny pinching… I don’t think it’s worth the savings to spend 6 months laboriously finding parts… I am really good at finding the best deal online or at distributors. I looked up all those parts and many of the deals claimed here just don’t exist anymore, not even close. New frame for $~85 shipped? what??? Pete, sorry, we think some of our tongue and cheek didn’t come through there. Ryan, Rafal, we agree. Kellan, for sure you can go way cheaper if you go used. Aaron, depends on the gravel and the ride/race/racer. Lots of cx races even have gravel in them. That’s awesome. The biggest difference is you went used for a lot of things, which is a perfectly viable route, but everything we did was new. Nice work. I knew you could do it with 11sp (Zinn has had a recent series on it). I was unaware about the 10sp. Thanks! As for Campy shifters with Shimanonono, I went the J-Tek route as I already had 4 sets of 10sp cassettes/wheels. It works fantastically. Can dump the entire cassette or climb 4 or 5 cogs in one fell swoop. Where would one use such a large jump of gearing? Why, off-cambers for starters. No disc brakes- thank god. I used this article as the inspiration for my recent build and am running 10spd Campy Veloce shifter with 10spd Ultegra RD on a 9spd cassette / chain combo. With some alternate cable routing into the RD it shifts perfect. Building any type of bike in this manner is a fun and learning experience. It’s alway more cool to pull out a wrench instead of a credit card. $644 is about what I used to spend for a tires on my autocross car each year. scroll the comments, someone had the same question, we posted it. 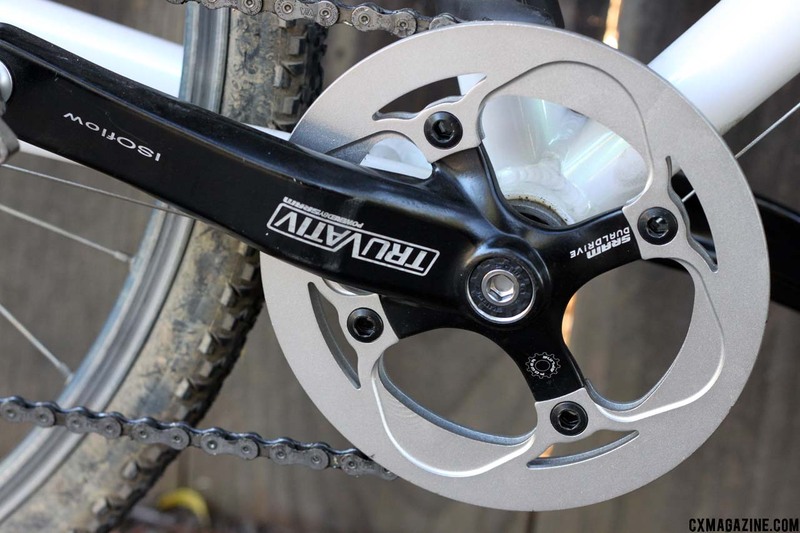 You can also run XTR rear with Ultegra shifters,gives a 1×10 a very big gear range with the long cage. I like it, needs stem riser. Hey out there in cross land I am in the refurbish bizz for bikes,and looking at tha budget bike article and ya all can check out warthoggbikes.com I have made two retro cross bikes and my first bike cost me $200.00 using a vintage Ross road bike frame and had the various parts I needed to build a cross grant u my rime sizes are different,( I of my bikes run 700x and the next runs the classic 27 1/4 rim ). Challengeing yes but my bizz is all about refurbishing,repair,sale,n recycle. Cheap is mature technology, lower costs,not reduce material . Was fun – good learning exercise – but most people can pick up a used eBay machine or LBS bargain for same $ and less time and effort – if you just want something to throw a leg over and try CX on. 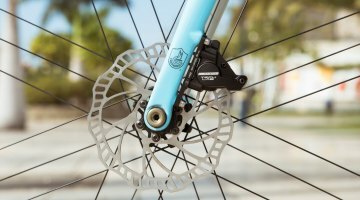 How can a 10-speed shifter (10s Ultrashift Veloce Ergopower) work with a 9-speed cassette (SRAM PG-950 12-26 Cassette) work with a the rear derailleur (Deore LX Short Cage, Rapid Rise) that doesn’t indicate how many speeds it has? Like the Cheap Bike Project? Want More? Photos so action-packed, you can almost hear the cowbell!